RIM's BlackBerry trade-up program has been successful for consumers since launch, and now RIM has also introduced a program for Enterprise and government customers looking to upgrade devices. 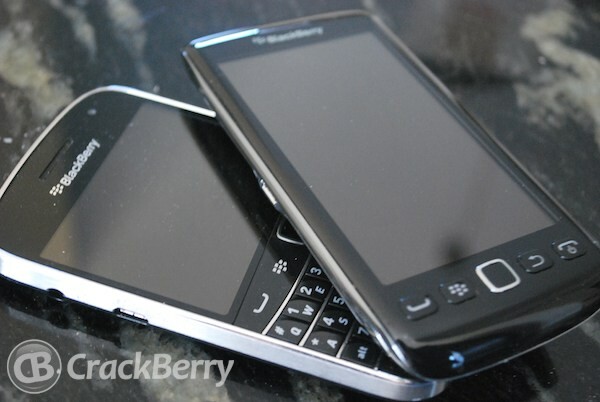 The new Trade-Up and Recycle Program aims for larger groups and organizations to be able to trade in older BlackBerry smartphones for new BlackBerry 7 devices. The program gives customers up to $100 for their old devices. Keep reading for the full press release and head to the BlackBerry Trade-Up page for more. Enterprise and Government Customers Can Save Money on BlackBerry 7 Smartphones with New "Trade-Up and Recycle Program"
WATERLOO, ONTARIO--(Marketwire - August 16, 2012) - A new program from Research In Motion (RIM) (NASDAQ: RIMM)(TSX: RIM) can save enterprise and government customers on the costs of upgrading to BlackBerry® 7 smartphones while also helping with the responsible recycling of old devices. RIM announced today that it is working with e-Cycle LLC to offer a new trade-up and recycle program to customers in the United States. Under the program, enterprise and government customers can get a rebate of up to $100 per device purchased when they trade in an older BlackBerry smartphone for the purchase of a new BlackBerry 7 smartphone(i). "RIM is pleased to work with e-Cycle to help customers upgrade their older BlackBerry smartphones to the latest BlackBerry 7 models, while also helping to facilitate responsible recycling," said Richard Piasentin, Managing Director for the U.S. at RIM. "This program provides BlackBerry customers with a cost effective way to upgrade to the latest BlackBerry smartphones and helps reduce the impact on the environment by diverting electronic waste from landfills," said Christopher Irion, e-Cycle founder and CEO. For more information about the BlackBerry Trade-Up program, visit www.blackberry.com/tradeupbusiness. The e-Cycle process can be viewed at http://e-Cycle.com/how-it-works.